Many of you are asking where things stand with the arena. You are hearing a lot of hyperbole coming from a number of quarters. That tells us things are starting to get serious. Right now we’ve got the ideologues on both sides of the political fence squawking the loudest trying to use the arena issue for larger political purposes. Charlie Sykes, conservative radio talker on the Bucks flagship station 620 WTMJ, is perhaps using the issue as a wedge to try to drive home repeal of the State’s prevailing wage law in exchange for the Bucks arena, as his digital platform contemplates in a new piece tonight. 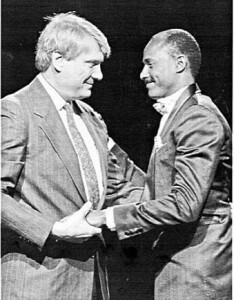 We’d ask Sykes to read our piece from the other night, noting that the new arena funding plan actually makes money for the State, and that yes, indeed, Bucks and visiting NBA players will be paying hundreds of millions of dollars in income tax to the State over the next 30-years even under this new plan. Interestingly enough, the other Milwaukee conservative talk radio icon, Mark Belling, has reviewed the revised arena funding plans and is generally supportive of it subject to certain details and safeguards being worked out. Belling’s point being that no entities have come forward to invest a dime in the moonscape known as those primary Park East corridor lots since they came on the market over a decade ago. Belling recognizes that we’ve now got a plan in front of us to not only keep the Bucks and all the tax revenue they generate for the State, but also a shot at transforming a blighted section of the City even though the location isn’t necessarily his first choice. In the meantime Belling concurs that use of the existing Wisconsin Center District tax revenues to pay a portion of the bonds is not a “tax increase” as some on the right are trying to contort it into. On the other side of the aisle, Milwaukee Alderman Bob Baumann, whose district the new arena will be located in, threw his hands up today and called the arena funding plan “fundamentally dishonest” because it evidently wouldn’t tax the people of Milwaukee directly. 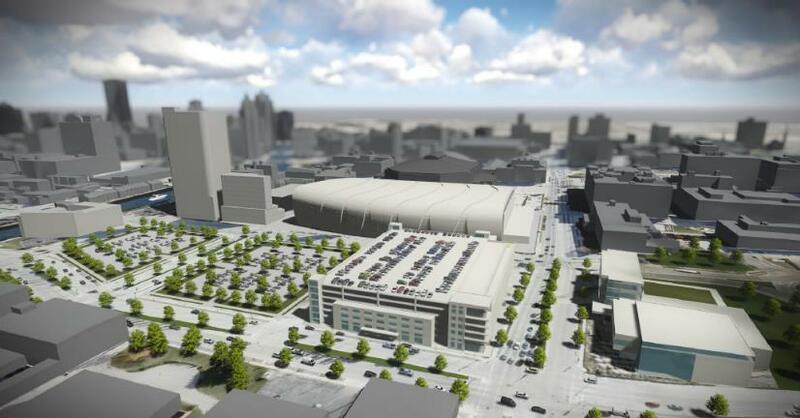 Bauman wants a full one cent increase in the City of Milwaukee sales tax to not only pay for the arena project but also fund a number of other things on his wish list. We’re not sure there is another alderman in the country who would turn his nose up on a project that will provide his district with a $500 million to $1 billion dollar economic development project because it doesn’t tax his constituents enough. We’ve actually got a well thought out civic project with benefits for all sides. Jobs, sports, increased tax revenues, redevelopment, outside money. You’ve got conservative Scott Walker and liberal Chris Abele supporting it. There might actually be a pretty worthwhile project here if you can look past the political posturing. This debate is going to do nothing but get louder in the days ahead. That’s why we need you to get loud. Make sure you join us at the County Board hearing next Tuesday night, June 9th at 5:30pm. 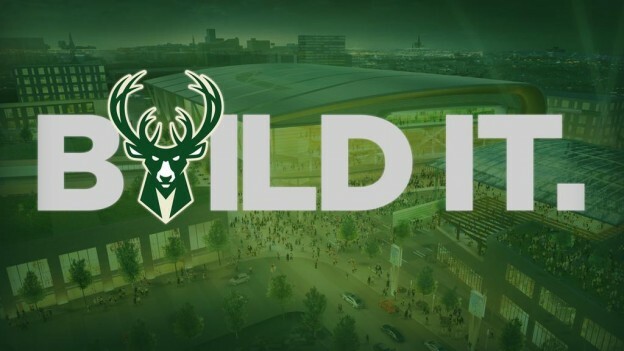 Note: Thank you to Bucks fan Tom Dickerson for his creation of the “Build It” graphic above. Great work and hopefully a rallying sign for all of us in social media.